It’s been a long time coming, but today we finally finished the counter. Hurray!!! 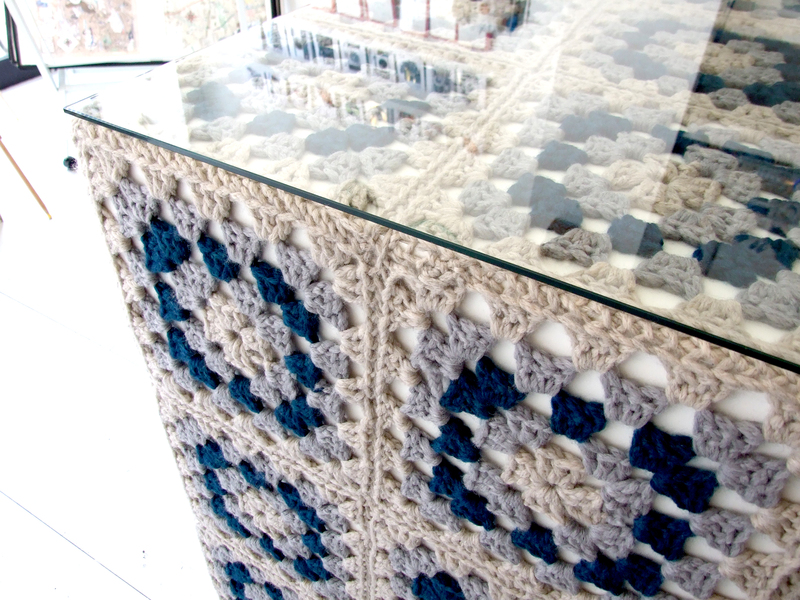 A contemporary take on the good old granny square. We were aiming for a floating box effect and I think that’s what we’ve achieved. The colours are rather stone-like, however it’s incredibly soft to touch as it’s constructed from Ushya, which is a chunky merino wool. Also, as the wool is only temporarily fixed, we’re free to change the look as we wish. 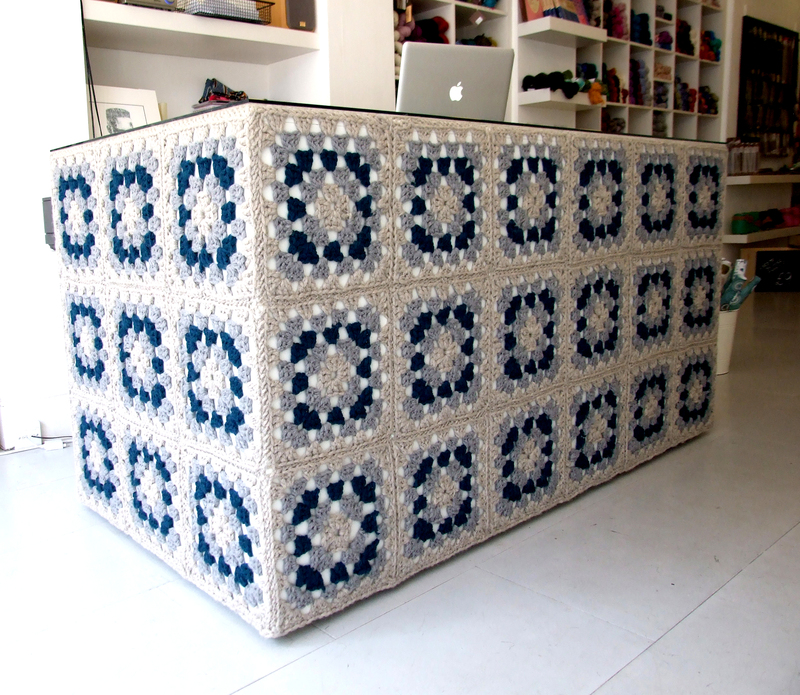 A big thanks to both Knit with attitude and Finch Munro for both the design and build/crochet of the project.